The meet portion of the cross-country season officially kicks off this Saturday when schools throughout the state head to East Greenwich High for the annual Injury Fund Carnival. 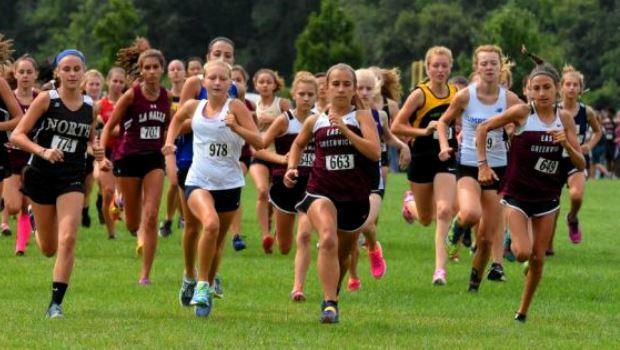 In typical fashion, the Injury Fund will feature eight varsity races (boys & girls) and two freshmen races (boys & girls). The meet will begin with the girls toeing the line in the Caswell Race, slated to start at 9 a.m. The boys' Kelly Martin Race will follow at 9:30 a.m.. From there, it will alternate between boys' and girls races. The final race of the day is the David Federico Race at 1:30 p.m. The Freshmen events are scheduled for 11 a.m. and 11:30, beginning with the Bob Leddy girls' race and the Ray Dwyer boys' race. Click on the links below for a schedule of all the races. Per usual, MileSplit RI will be on site, provide complete coverage of the Injury Fund Carnival.